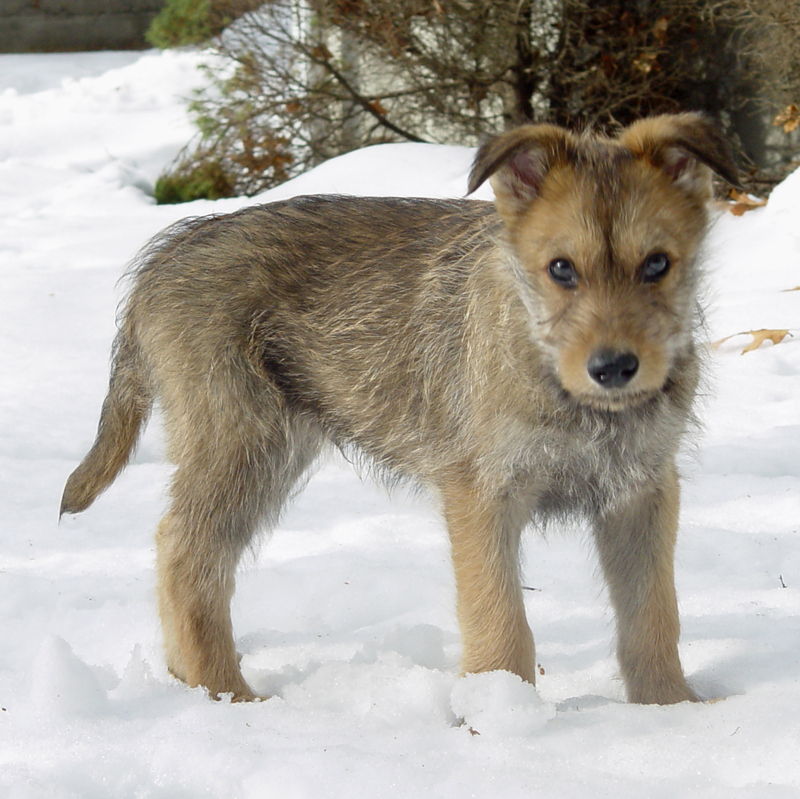 The coat of the Berger Picard goes through at least 4 stages from puppyhood to adulthood. The following pictures of the SAME dog illustrate the various stages. The puppy coat is fine and soft. No brushing or special care needed. 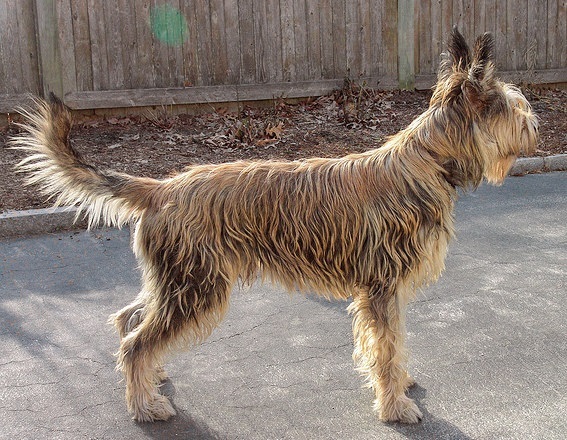 The juvenile coat is thick and luscious. The griffonage on face is starting to grow. Dark markings still remain on head and neck. This coat does not mat. Brushing is hardly needed. As the griffonage grows in around the eyes, the Picard may experience eye irritations from debris falling into eyes from the new hair growth. Simply flush eyes with ophthalmic saline daily to reduce the amount of discharge. The adolescent coat around 12 months to 2 years has wiry texture. There may be a dark undertone in the fawns. Eyebrows and beard fully grown. Shampooing should be done with a wiry coat shampoo to not strip off the natural oils. Conditioners should never be used. The adult coat is thick and has a crunchy texture. The undercoat should be fine and dense. The coat is harsh and crisp, with natural “flames” (slight clumping of topcoat hairs) when not brushed out. 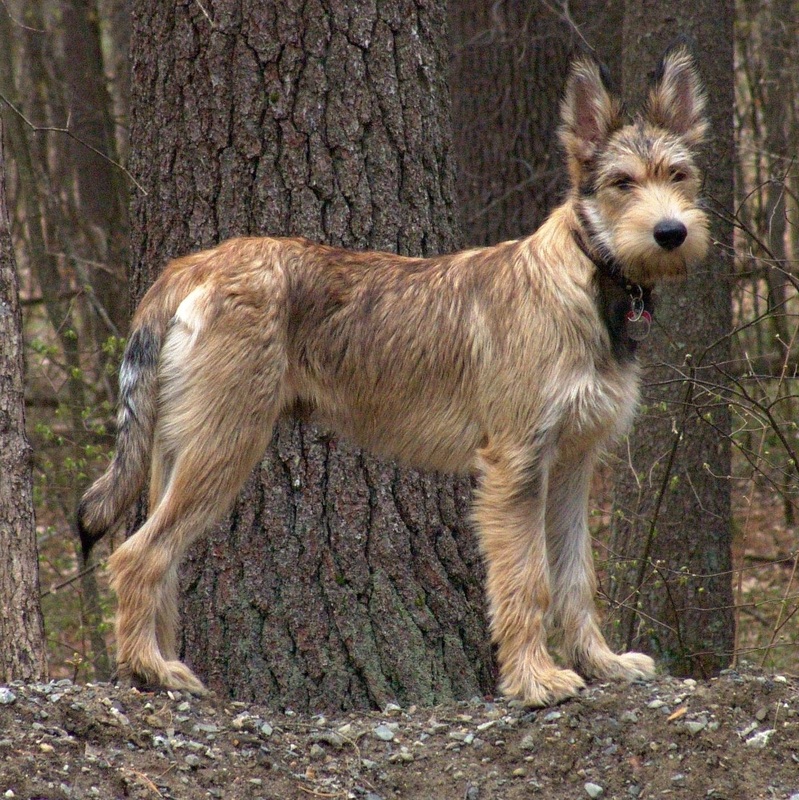 The correct length of coat is around 3 inches. 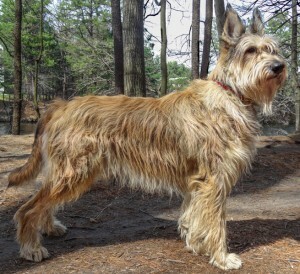 If not brushed regularly, the coat can become too long and unkempt.